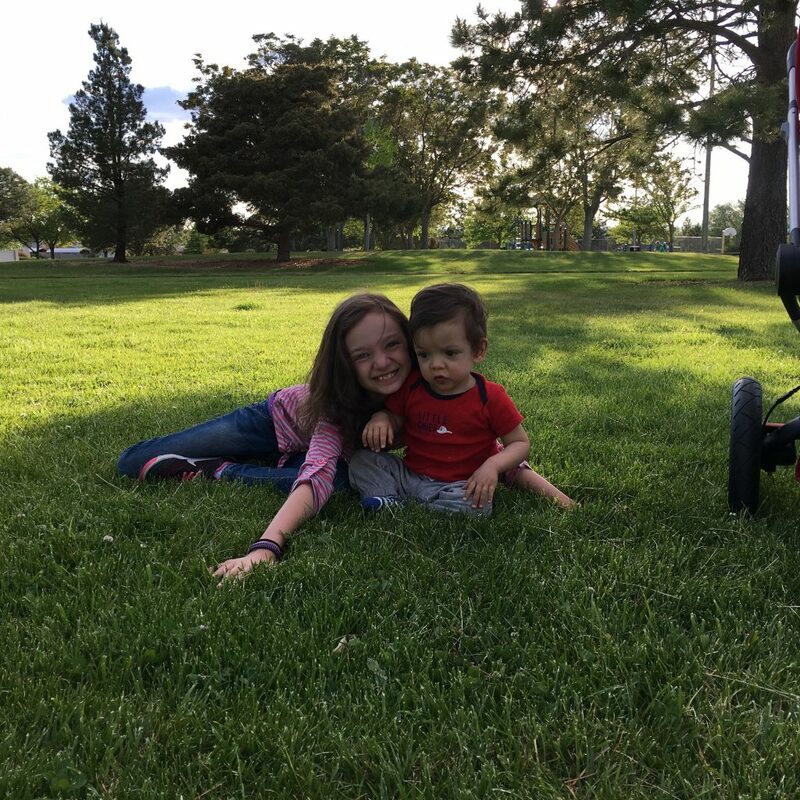 Why I use Neutrogena Sunscreen for My Own and My Children’s Skin: Enter to Win a Neutrogena Prize Pack! This post was sponsored by Neutrogena as part of an influencer activation for The Motherhood. I received complimentary products to facilitate my review, that said, I don’t use a product if I don’t like it. Opinions are 100% my own. Growing up I honestly didn’t pay any attention to my skin or sunscreen. In fact, I used to think that I was naturally “dark”, I spent a lot of time in the pool and running around the neighborhood. Over the years I have started noticing the wear and tear on my skin due to that sun exposure. I never really thought about applying sunscreen on a daily basis. But did you know that there has been a tremendous increase in skin cancer over the years? Melanoma rates in my state are on the rise and have increased 15% in the past 10 years! I try and get out on a walk with Oliver and the kids to the park regularly and protecting their skin is a priority for me! 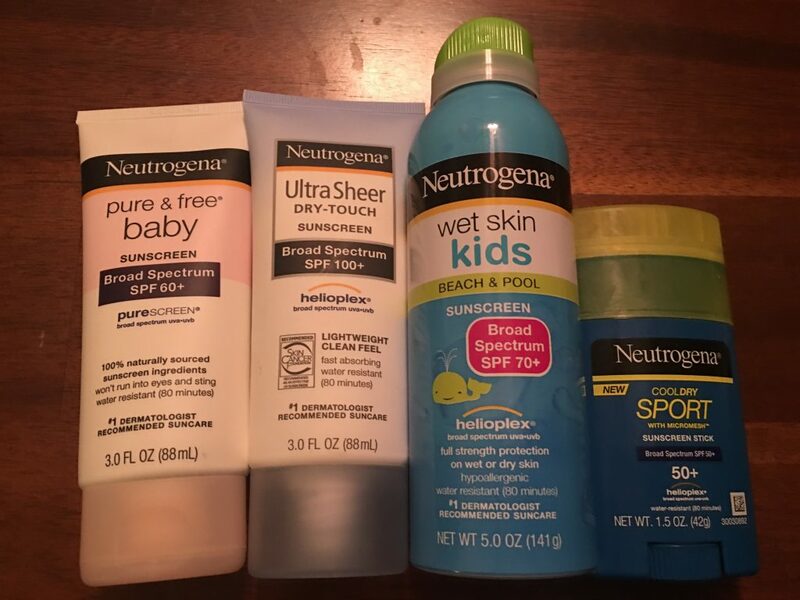 I love that Neutrogena has baby and kids products that are quick and easy to use! Despite all we know about sun protection, skin cancer continues to be a health epidemic in the U.S. – on average, more than 350 Americans are diagnosed with skin cancer every hour – even though skin cancer is one of the most preventable cancers. That is a LOT! I want to make sure my kiddos know early on that putting on sunscreen daily is just part of their routine, just like brushing their teeth. I definitely believe that kids will do what they see in the home. From healthy eating to word choice, this imitation game children subconsciously play is a constant reminder that parents must lead by example. Studies show that kids are more likely to adopt healthy habits, like applying sunscreen, if they see their moms applying it on themselves. Sparking this simple, healthy behavior change early on may help reduce the likelihood of developing skin cancer later in life. I am committed to instilling safe sun behaviors in the next generation of children, so I always make sure my kids see me applying sunscreen on myself first to set the right example. Show me how YOU #ChooseSkinHealth by getting your kids to #MimicMommy! Three lucky winners will receive a set of Neutrogena sunscreens for the whole family. What will THREE lucky Wheel n Deal Mama readers win? How to enter? Use the rafflecopter below my video! The spray on for kids is AMAZING!! We always use sunscreen. No one likes a burn. I like to make silly sounds when applying lotion to my daughter. I use the spray on kind as it easier ! Use the spray sunscreen to make it easier for them! We’ve had a talk about the dangers of not applying sunscreen and what can happen later on. We play around that it’s a magical layer of extra protection, and you have to make sure you are covered everywhere the sun can touch you. We sometimes apply sunblock to each other. I have 4 girls and they get to do each others arms legs and backs, and I do all their faces. We are outside a lot during summer…and we use a lot of lotion. I would love to win this prize! Thanks so much! The kids are usually very excited cause they know they are about to get in the water so they are ready to get sunscreened. We always use sunscreen! So important to protect your skin. I have never used Neutrogena sunblock but I would love to try it! We make it fun by first drawing on our bodies with it lol. Make a big happy face on the tummy or a sun or flower or something. Take a picture of it and then rub it all in! I garden a lot sometimes with my grandson and my husband and 2 sons work construction. We go through a lot of sunscreen in this house.. This would be a blessing! GLTA! My kids have never had an issue with wearing sunscreen. We’ve been doing it since they were really little. Now they are old enough to know what a sun burn feels like they’d rather have the protection. Plus their rather is a redhead and prone to skin cancer. Tickle them a little bit. I try to do something fun, especially on days where everyone needs it a few times. Sometimes we sign or tickle while putting it on. Sometimes they can put it on me. I put on music and tell them that we are going to “paint” our whole body and we can’t miss any spots! Thank you for the giveaway! I’m 1/2 Scottish and 1/2 Irish, I burn at the very thought of sun. I’m a stickler for sunscrean for me, the hubby and our daughter. We don’t need skin cancer, sun spots and painful burns. We sing a song together! We mostly use the spray kind because it’s faster, and make it a game. We take turns helping each other apply sunscreen. My boys enjoy using the sunblock spray! I found that when I use the spray kind my kids thinks it tickles and loves it! I let my kids rub it in until it disappears. Protection is important for such a preventable cancer. I love Neutrogena products and their sunscreens are what I use for myself. I would make great use of these and share the kids products with my friends who have young children because I believe sunscreen is very important to use. I would make robotic sounds like I am applying a magic cream that will give them powers.